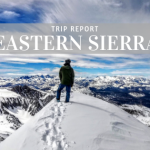 Winter is almost here and we have some killer deals to send you into the mountains in style, without breaking the bank. Who wouldn’t want a sweet deal on warm footwear and technical layers to keep warm when the temperatures drop? We all love skiing, climbing and playing outdoors all day without freezing our butts off! 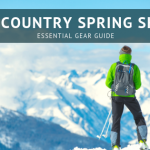 This season we’re featuring women’s winter boots, men’s hiking and trail running shoes, a women’s softshell jacket and a men’s insulated midlayer – but we have so many more deals going on! 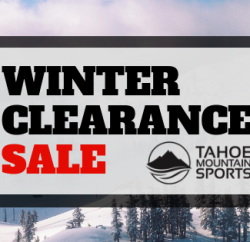 Head over to our Outlet for big sales on outdoor gear, or browse around at tahoemountainsports.com for a huge selection of bargain deals and closeout items. 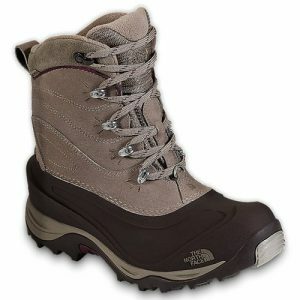 This insulated leather boot from The North Face is designed for winter hiking and outdoor use on a regular basis. Ladies’ feet will stay warm and dry in the snow and cold weather, and temperature-sensitive lugs on the soles provide great traction on the iciest, slipperiest surfaces. The waterproof Abby 4 Boot has 200 grams of warm insulation, and a compression-molded drop-in insole adds even more all-day comfort. This durable, insulated women’s boot keeps feet warm down to -25 degrees Fahrenheit! Highly versatile, it’s perfect for snowshoeing and hiking or shoveling the driveway and other outdoor winter work. 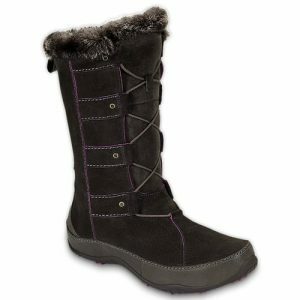 A fleece-lined tongue and collar make these The North Face boots super comfortable in any conditions. Waterproof, and also with 200 grams of insulation, The North Face Chilkat 2 lets you push through winter without worries. 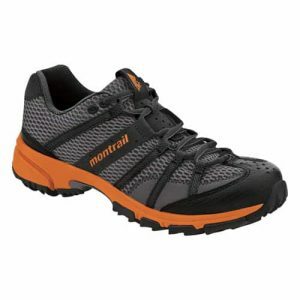 This men’s Montrail trail running shoe lets you create the ideal fit with webbing and straps that wrap around your foot and connect directly to the laces. Large ‘blades’ under the forefoot dig into the ground, even the loosest terrain, and an innovative arch support balances well over varied terrain. Perfect for everyone from light trail runners to ultramarathoners, day hikers or distance thru-hikers, the Montrail Mountain Masochist provides excellent grip, support and a comfortable performance fit. 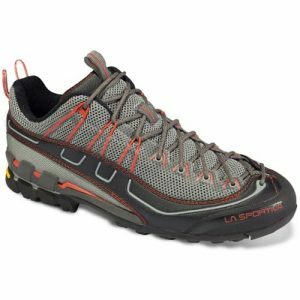 These all-terrain hiking shoes are great for all-day comfort on (and between) rocks. The La Sportiva Xplorer shoes have terrific sticky, grippy soles and the unique construction prevents foot-creep, so you can get closer to the edge with confidence. A water-repellent synthetic upper keeps you dry and a dual-density EVA midsole (plus a rockguard under the forefoot) provides protective support. La Sportiva is located in a small mountain village in the heart of the Dolomites, so you can be sure their footwear is ready for a life on the rocks. A top-notch insulated midlayer perfect for layering on the coldest days, or as a top piece in milder temps. For climbers and skiers alike, this men’s Salomon jacket has a windproof front and back, with stretchy sides to promote mobility and maximum reach during sports. The Montroc Midlayer sports an ‘active fit’ and weighs less than a pound, so it’s ideal for moving fast – it won’t slow you down and it packs down small into a bag for quick and easy transport when you can’t fully predict the weather. The Alpine Project Hybrid Hoodie brings warmth and comfort in a lightweight, windproof women’s top. It moves with you on dirt, rock or snow, thanks to breathable and stretchy sidewalls and a helmet-compatible hood. 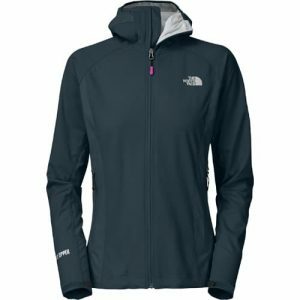 With Gore Windstopper to keep your bones from chilling in the harshest conditions, this women’s softshell hoodie from The North Face Summit Series, The North Face’s most elite line of gear and apparel, is an ideal layering piece, or an active top on cool days, perfect for backcountry skiing or alpine climbing. 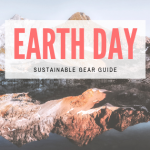 Steals & Deals: End Of Summer Sale On Outdoor Gear! 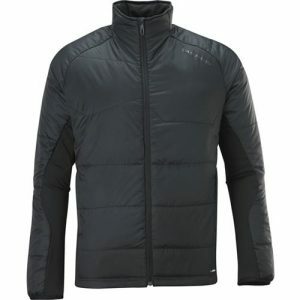 Steals & Deals: Warm Winter Jackets & Mountaineering Pant!